Drayton, a leading brand in the UK domestic heating market and part of Schneider Electric, has announced the next generation of smart heating controls with the launch of its new system WISER – which seeks to allow installers to work wiser, not harder. Showcased extensively during the company’s 70th anniversary celebrations in Kensington on January 17, Drayton’s newest range is designed to offer the fastest install on the market, with a standard UK wallplate on the Heat Hub allowing WISER to be retrofitted in minutes. WISER boasts a simple user interface, allowing multiple users to control heating and water temperature across a number of rooms in a home, wherever they are, with the use of a simple app. Downloadable on both Android and iOS devices, WISER is also compatible with internet connected voice control systems such as Amazon Alexa. 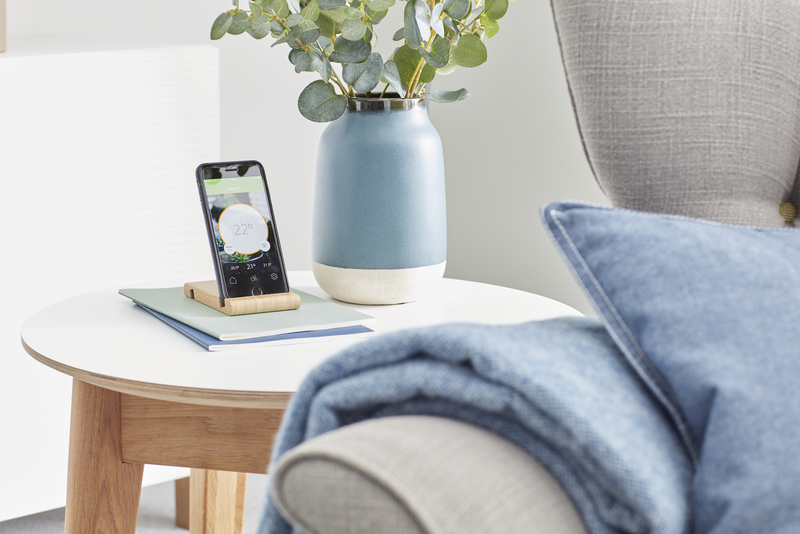 A unique feature of the WISER range is the addition of smart radiator thermostats, which can be easily and quickly installed onto existing radiators. With valve adaptors included, installation is as simple as unscrewing the existing radiator valve head and screwing on the new smart radiator thermostat. This offers users a flexible approach to smart heating with the option of individual room control in up to 16 rooms. Each radiator thermostat includes a simple ‘boost turn’ function to enable a two-degree increase or decrease in temperature for an hour. Designed as a buildable system, WISER centres around the Heat Hub, with three ready made thermostat kits as well as two multi-zone kits available. Further room thermostats and radiator thermostats can be added, allowing users to expand the system over time.